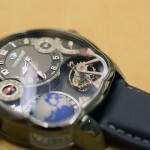 There is little doubt in my mind that Greubel Forsey has become one of the greatest modern-day watch manufacturers. Against all odds the brand has built a successful business model based on creating fabulously complicated watches in extremely limited quantities that can be had for painfully expensive prices, putting them permanently out of the reach of all but the uber, uber wealthy. 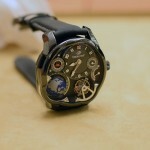 This approach of course is not unique in the watch world. When thinking of watch brands that have tried to build a platform based on exclusivity and price any number of names spring to mind, all of which have experienced various degrees of success. 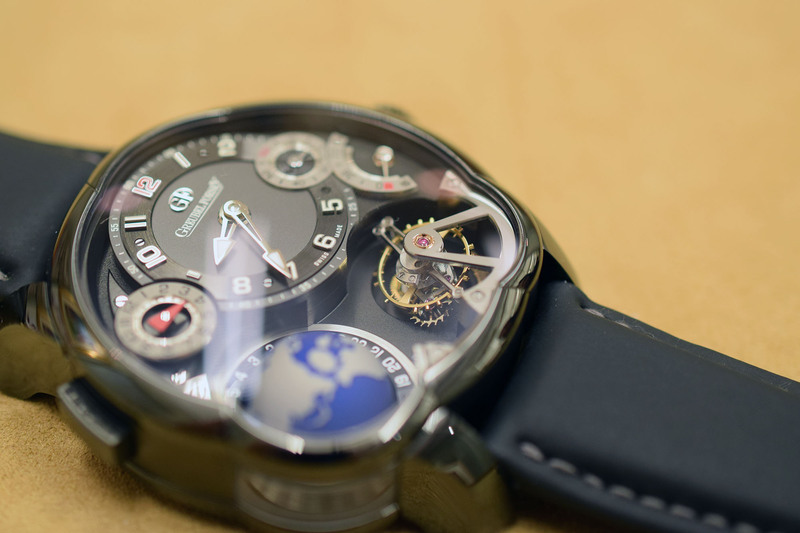 What sets Greubel Forsey apart is the fact that the sole focus here is clearly not profitability. Now I admit, that may seem like a strange thing to say about a company whose entry level offerings cost more than most high-end supercars but take a moment to really think about it and you’ll see there’s some truth to what I am talking about. Sure, there’s no doubt the company is doing well financially but at the same time they are spending millions and millions of dollars on research and development to breakthrough previously established technical and aesthetic boundaries. 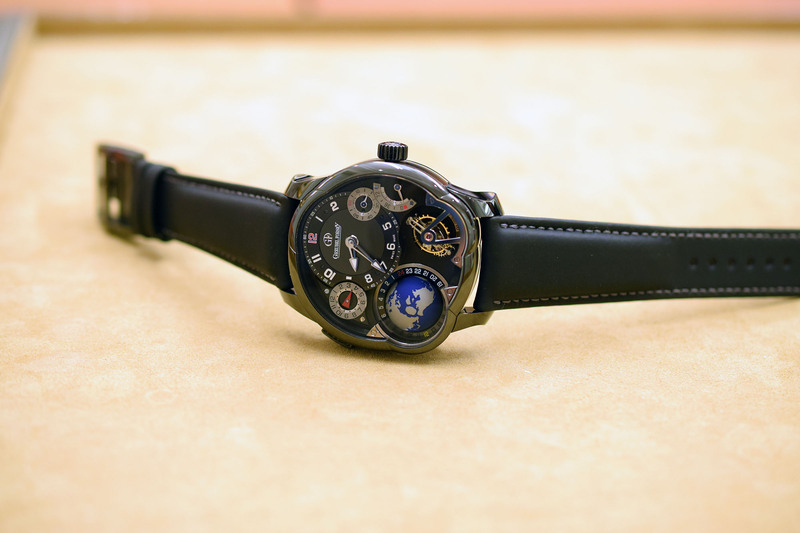 Add to that the founders’ – Robert Greubel and Stephen Forsey – legendary refusal to compromise on any element of the watchmaking process, no matter how minor, and you quickly realize that the best way to make watches and the most efficient way to make watches are not the same thing, and one is vastly more expensive (and thus less profitable) than the other. 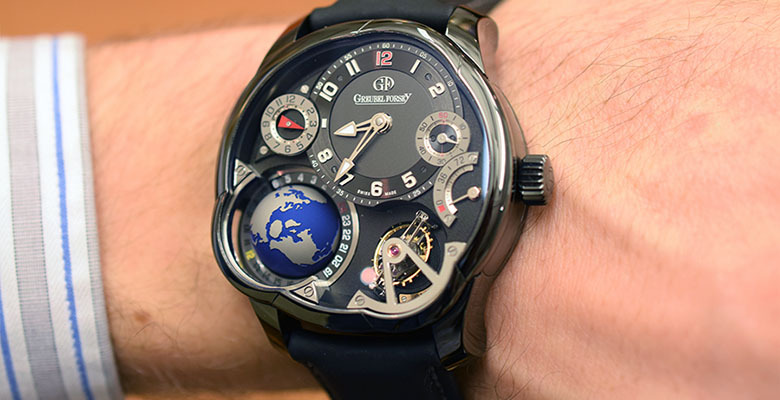 The new Greubel Forsey GMT Black – officially unveiled at SIHH 2015 a few weeks ago – is a great example of this. 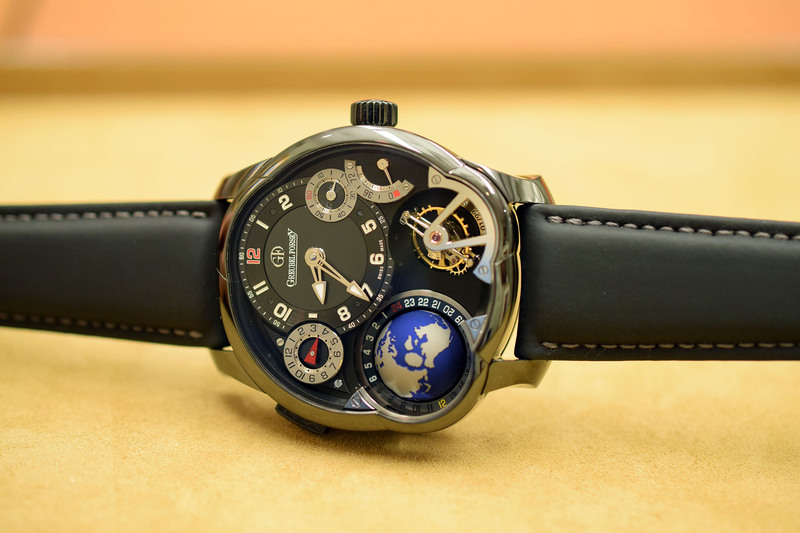 Arguably one of the most popular and, dare I say, mainstream models in the Greubel Forsey line-up, the GMT has been offered in several limited variants (including a gorgeous platinum version) since making its debut back in 2011. 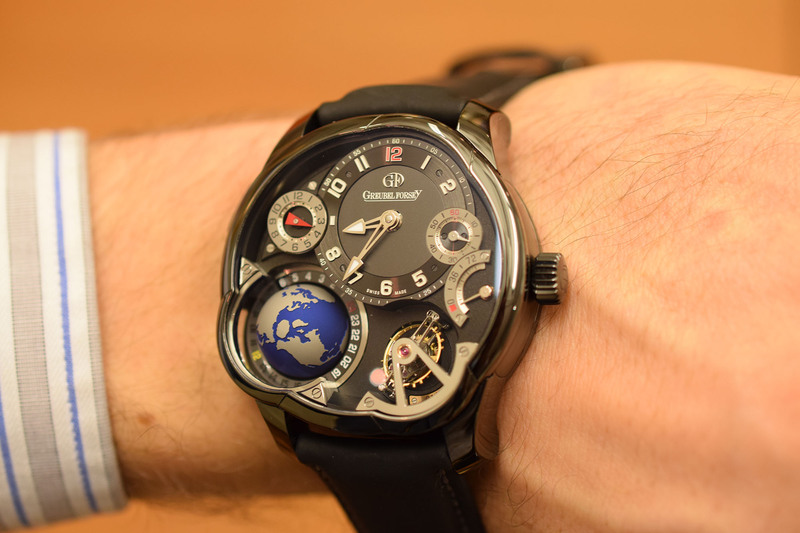 Although it doesn’t look like it, the GMT is without a doubt the least complicated piece in the Greubel Forsey range, which makes it the perfect candidate to illustrate my point above. “It took us 18 months to get the first complete globe how we wanted it. We spoke with our machinist and he was confident it would only take three months, although we thought six to nine months was more likely. Twelve months later he was ready to throw us out but we knew how fantastic it would be when we got the final result we wanted and so we managed to convince him to have another go. 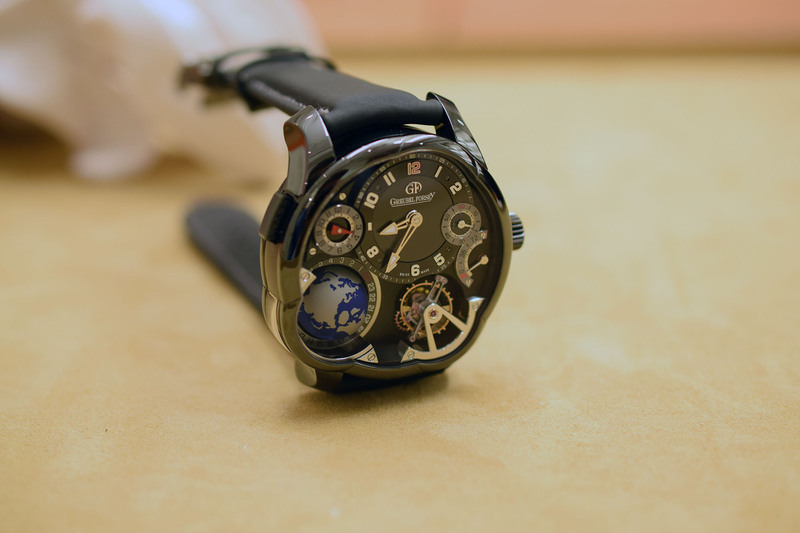 At Greubel Forsey they don’t talk about product life cycles in weeks or months, they talk about them in years, which if you really think about it, is pretty insane. 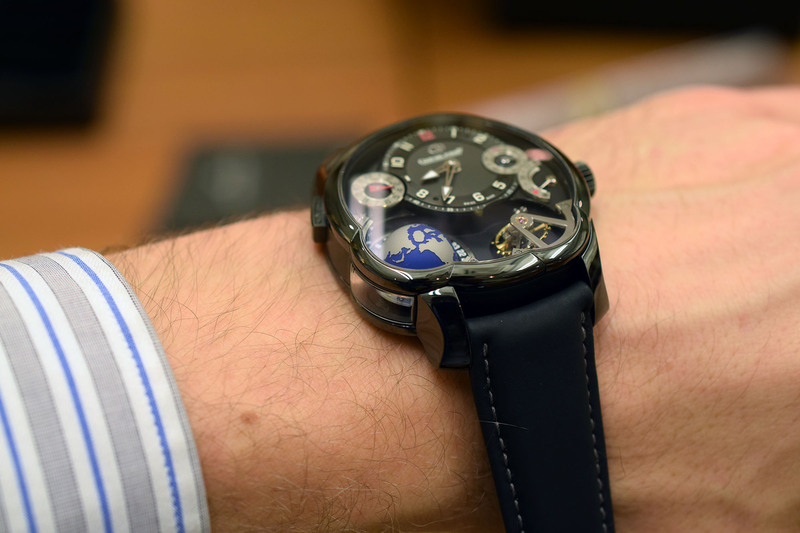 Of course, if you’ve ever had the chance to hold a Greubel Forsey timepiece in your hands than you know it’s totally worth the wait. They really are the Pagani Huayra of the watch world, a custom-built machine engineered for maximum performance and beauty without any consideration for cost. Sure there are quicker and easier ways to do things but they don’t even enter into the equation. Ever. So, with all that in mind, what’s the GMT Black like in person you ask? Simply sublime. 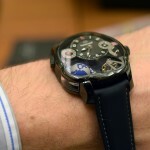 I have been fortunate enough to handle at one point or another most of the exceptional timepieces in the Greubel Forsey range – including the insanely complicated Quadruple Tourbillons – and I have to say the GMT Black lives up to all the expectations you would have of Greubel Forsey timepiece and then some. This is only the second time the company has used a titanium case and so the relative lightness of the watch on the wrist is particularly noticeable in comparison to the other GMT models, especially the platinum version, which I personally quite like. After all, at 43.5mm the case is reasonably sizable on the wrist and so the reduced weight makes it just that little more wearable. 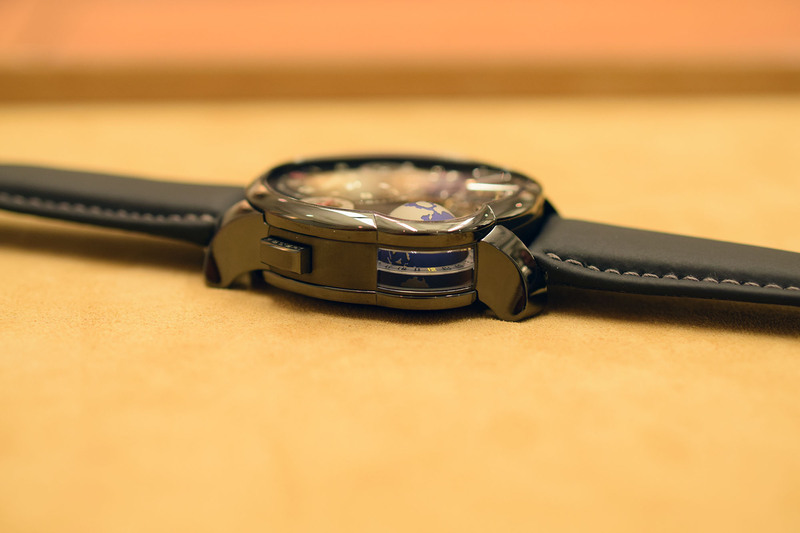 As you can see the case has been treated with a black ADLC (amorphous diamond-like carbon) finish, hence the name, and this again completely changes the look and feel of the watch for me. 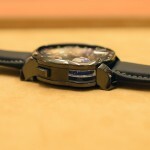 Everything just seems to pop that little bit more, really highlighting the three-dimensional construction of the dial. The miniature earth Mr. Forsey was talking about before – or ‘flying’ globe, as it’s called by the brand – is exquisitely detailed, despite its diminutive stature. Secured at just one end of its rotational axis – the South Pole – it completes one full anti-clockwise rotation every 24 hours – mimicking the Earth’s natural rotational direction. Complementing the globe is a small sub-dial at 10 o’clock which features a 12-hour second time zone to ensure the precise indication of the time in a designated second country or city. To set the second-time zone you simply use the quick-set, dual-function pusher on the case-band at 10 o’clock helpfully marked GMT. The dial also features a standard time-display at 1 o’clock, small seconds at 3 o’clock, sectorial power reserve indicator at 4 o’clock and finally at 5 o’clock, the other main attraction; the 25° inclined Tourbillon 24 Secondes. Try hard as you like, you won’t be able to stop staring at this black beauty. 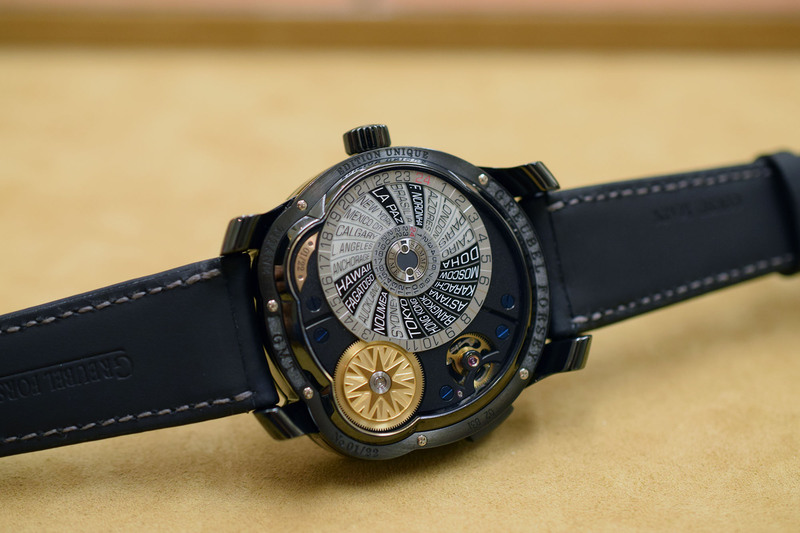 On the back you will find a finely crafted ‘worldtime’ disc bearing the names of 24 cities, each representing one of the different global time zones. Aligning the relevant city with the local hour on the outer chapter ring – or inner ring for cities with summer time – sets the dial-side globe in the correct position. Completing the display-back is a gleaming sun, providing a visual reference for midday on the world-time disc. Again easy and intuitive to understand whilst at the same time being gorgeously attractive to look at. 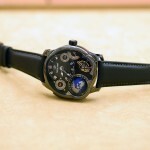 Limited to just 22 pieces, the GMT Black will retail for US$565,000.